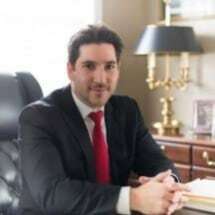 Attorney Cohen operates his law practice in the same way he grew up, Blair County, Pennsylvania. Upon graduating law school, Attorney Cohen practiced which his father, the late Arthur Cohen, who operated a full-service law practice. While working with his father, Attorney Cohen quickly learned the important things about practicing law that you cannot find in law books. In 2011, however, Attorney Cohen's father passed away and he then became a sole practitioner. Since then, Attorney Cohen has aggressively represented clients through all stages of the legal process in a variety of matters. This pursuit has led him to courtrooms all throughout the State of Pennsylvania and often fighting for clients against big-city law firms who employ thousands of attorneys. "When I represent a client, I want the client to come back to me for any legal need that may arise in their life. I want them to know that they can call me first when they have a legal question and feel confident that I am going to lead them in the right direction and be straightforward with what needs to be done. I also want my clients to feel like I know them personally and that they can trust me. Whether a client has a ten-dollar problem or a ten-million dollar problem, I am going to treat that client with respect." Attorney Cohn lives in Hollidaysburg, PA with his wife and high-school sweetheart, Phoebe, son Zachary, daughter Gia, a Doberman, and two Whippets. Family is the most important thing in his life and when he is not working, you can usually find him having fun with the people in his life who matter most.